Britain will vote on Thursday June 23 on whether or not to remain part of the EU. Bettors anticipate a tight result, Remain is the firm favourite but undecided voters can change the outcome of the Brexit Referendum. 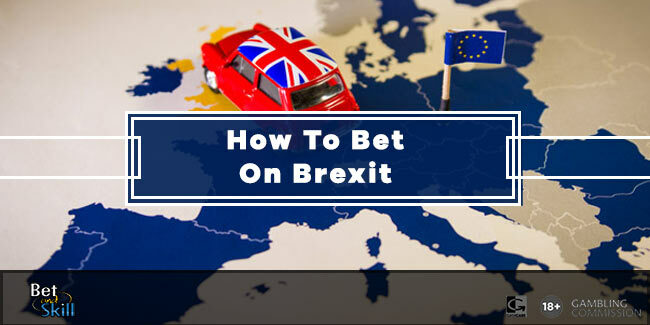 Read here our "Brexit" betting preview, with picks, best odds, free bets and no deposit bonuses on the EU Referendum! After the tragic killing of the Labour MP Jo Cox, all campaigning ahead of the EU referendum was rightly suspended and MPs recalled to Parliament to pay tribute to their late colleague on Monday. Last week, there were reports of investors pulling money out of Great Britain as the possibility of UK to leave the EU increased. With the polls showing momentum swinging back towards Remain, the financial markets responded with the biggest one-day rally for sterling in over four months. The Remain camp was boosted by improved polling over the weekend and, after a couple of weeks when Leave appeared to be gaining the advantage. Paddy Power declared that two single bets of £30k were placed on Remain at odds of 1/3 and the betting support for Remain is huge and shows no signs of faltering. What is incredible about the EU Referendum market is the volume of money which has already been bet on the result of the vote. Fore instance, there has been over £42 million wagered on Brexit on Betfair exchange, which has broken the previous record for a political market. This was the £40 million traded on the result of the 2012 US Presidential elections. Enhanced odds - 3/1 Remain or 8/1 Leave + money back! Price boosts - 4/1 Remain or 10/1 Leave + £100 bonus!